The Glynn Sparks Memorial Education Scholarship began in 2016. Mrs. Sparks was a devoted member of Southern Heights Baptist Church. Before her death, she gave funds for the church to use for education purposes. God inspired the church to use those funds for college scholarships. Since 2016, the church has presented 12 scholarships. Of those 12 scholarships, seven were awarded in 2018. Two Primary scholarships of $1,000.00 and five Secondary scholarships of $500.00. Congratulations and blessings to this year's scholarship recipients! 2018 scholarship recipients. Left to right: Lindsay Campbell (SR) William Blitch (SR) Maddie Klumb (SR) DeMarius Wilson (SR), Morgan Farmer (PR) and Emma Koerner (PR) not pictured Christopher Owens (SR). 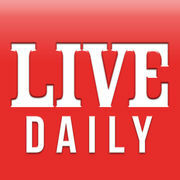 Ask your student life teacher for the password for our "live daily" app for junior high & high school students.